Free Gift for Orders More Than $70! Get a free gift with the OzSmoke Logo printed on it, if your order is more than $70! *While stocks last. Our Australia Day Sale starts immediately after the Christmas Sale. Please don't miss out. We will have something new for you. 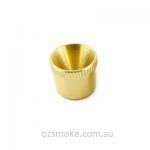 The OzSmoke Christmas Sale is now on! There are loads of specials so you can grab yourself a bargain. A friendly reminder, Australia Post is extremely busy this month. More delays than usual will happen, so please do not wait until the last day to place your order. Our staff are working hard during these days. We guarantee that for all orders with payment received before 3pm AEST -- will be sent to post office on the same working day. -- But even after the cut off time, we still try to do our best to hand them in. We wish all of our customers to take extra care on the roads during the festive period and have a Merry Christmas and Happy New Year! Our major brand partners can be accessed here. For all our brands, search here. Share your experience with other customers and us by reviewing our products online. If you have a question about a product, you can put up on and get answers from us and experienced members as well! A new optional service is added on the shopping cart page: Signature Reguired On Delivery. If you want to make sure that postman put the parcel on your hand, tick this option. Some great improvements have been done on our advanced search. First, we added price range sliders. you can select any price range by easily sliding you finger. Second, we added a category selector. You can search keywords in a particular category. If no keywords entered but a category selected, it will show the whole category within the price range. Last, we also optimised the powerful search engine to output more accurate results for you. Quickly click here to try!